The art of hand sol­der­ing has been around for a very, very long time, thou­sands of years in fact. But it was only until 1941 that a trans­former-based in­stant heat­ing sol­der­ing method was de­vel­oped by an im­pa­tient Amer­i­can radio re­pair­man who was tired of sit­ting around wait­ing for his sol­der­ing gun to heat up. 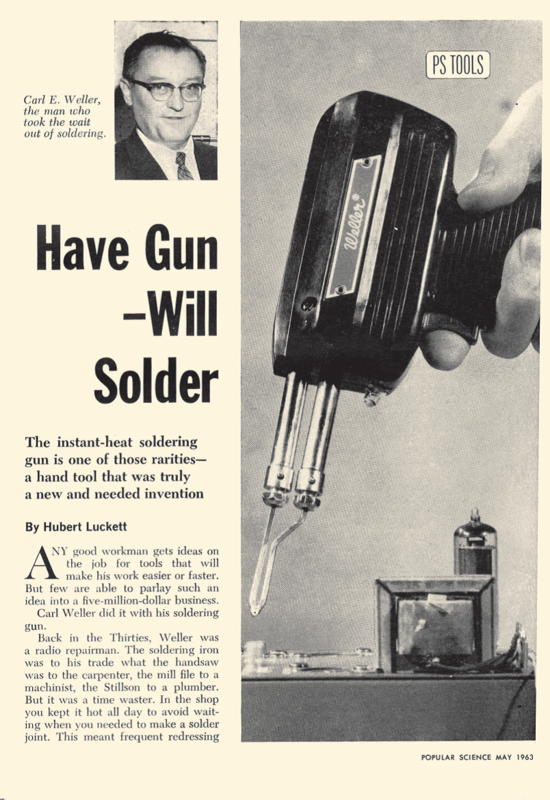 Carl E. Weller had to wait until after WWII ended in 1945 to get his Weller Man­u­fac­tur­ing Com­pany going. 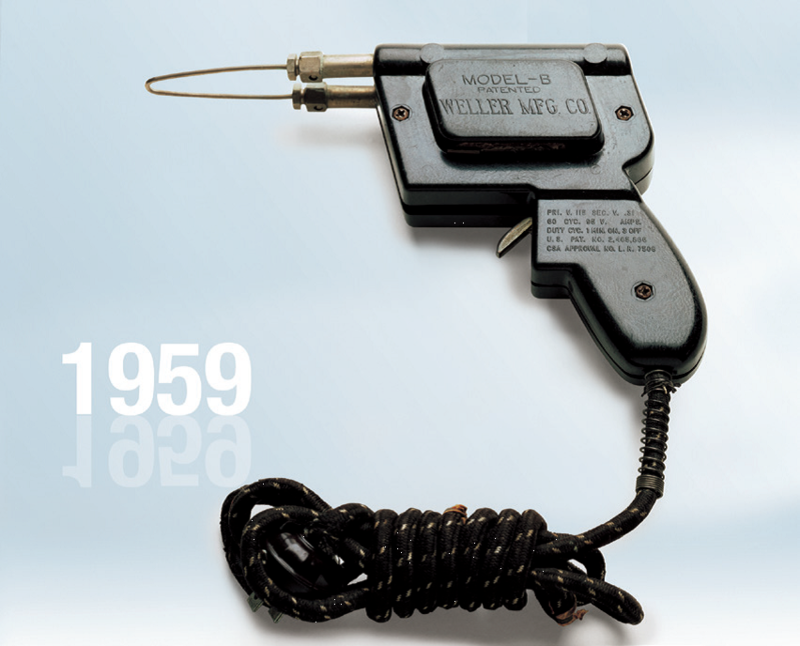 In 1960, the Weller Man­u­fac­tur­ing Co. in the US patented the “Mag­na­s­tat” sol­der­ing iron which used a mag­netic com­po­nent to reg­u­late the tem­per­a­ture at the iron’s tip. 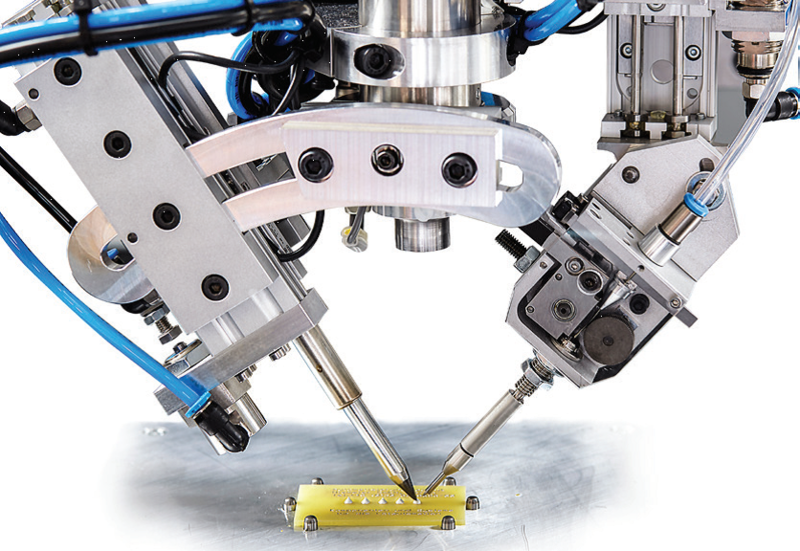 In an ex­pan­sion over­seas be­gin­ning in 1959, the Weller Elek­tro-Werkzeuge GmbH plant in Be­sigheim, Ger­many, along with new plants in other coun­tries, was or­ga­nized to man­u­fac­ture tem­per­a­ture-con­trolled irons and sol­der­ing guns for pri­mar­ily in­dus­trial mar­kets through­out Eu­rope and the Near East. Keep­ing pace with the in­creas­ing com­plex­ity of our cus­tomers’ needs, Weller Ger­many be­came the mar­ket leader for de­vel­op­ing and man­u­fac­tur­ing hand-sol­der­ing prod­ucts world­wide. Our prod­ucts were proudly em­bla­zoned with “Made in Ger­many”, sig­ni­fy­ing in­no­va­tion and re­li­a­bil­ity. Weller Ger­many first re­ceived ISO 9001:2008 cer­ti­fi­ca­tion for qual­ity sys­tems in 1993. Weller con­tin­ues to ex­plore new prod­uct global fron­tiers, ex­pand­ing its reach to au­toma­tion and con­nec­tiv­ity, while giv­ing old fa­vorites fresh new looks with en­hanced func­tion­al­ity. Ever in close di­a­logue with our cus­tomers, we’ve now seg­mented our Pro­fes­sional prod­ucts into Per­for­mance, Tech­nol­ogy, and Ef­fi­ciency lines, to pro­vide op­ti­mal so­lu­tions for every cus­tomer level. Keep­ing the user’s health and work­flow top-of-mind, we’ve in­te­grated fil­tra­tion, er­gonom­ics, trace­abil­ity and con­nec­tiv­ity with Weller’s sig­na­ture sol­der­ing pre­ci­sion and ef­fi­ciency.